Not all importers are aware that you can use factoring to repay a trade finance facility. Trade finance can be used by importers to pay overseas suppliers for goods that they are importing into the UK. It can also be used for purchases of products from within the UK, in which case it works in a very similar fashion. There are a number of different options as to how the facility can be structured, but one particularly attractive example is where a trade finance facility is paired with factoring finance, such that the latter repays the former. How this works in practice, is as follows. You place an order for goods with your overseas supplier. 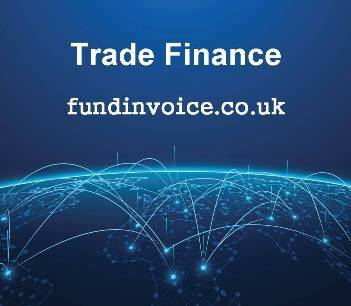 The trade finance company extends a line of credit to you which guarantees payment to your supplier, providing certain pre-agreed conditions are met. For example, these conditions could include providing documentary evidence that the goods have been shipped. This gives your overseas supply the confidence to ship the product, knowing they will be paid, and it gives you a period of credit in order to sell the goods before you have to pay the supplier. Having confirmed orders from buyers that are credit worthy is preferable. If you couple this trade finance facility with a factoring facility, once the goods are received and you ship them onto your customers, you then raise your sales invoices to your customers for the products that you have delivered. The sales invoices are then submitted to the factoring company, who provide a prepayment against the invoices. This prepayment could be, for example 85% of the invoice value, and that can then be used to repay the import funding trade finance facility. When your customers pay, the factor accounts to you for the balance of the invoice values (less charges) releasing your profit margin. In addition to this, the factoring company will then take on the task of collecting in the debtor payments from your customers, such that you don’t have to undertake the credit control function yourselves. By operating these two kinds of facilities in tandem, you can benefit from an extended period of credit, and also from having an outsourced credit control function for your business. This can mean that you may not need to employ credit controllers, or undertake the invoice collection task yourself. If you would like to know more, please get in contact and we can find quotes for you for both trade finance and factoring.